The United Hatzalah EMS psychotrauma unit responded to two major incidents over the course of 72 hours. 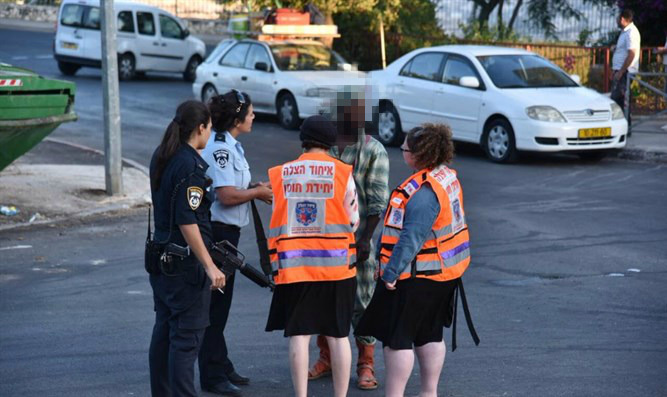 The United Hatzalah Pyschotrauma Unit recently responded to two major incidents over the course of 72 hours. One of the incidents was considered, from a psychological standpoint, a mass casualty incident. The unit's primary goal is to provide stabilization to people who are involved in a traumatic incident and are in a highly activated or agitated state. In the first incident, the unit responded to a Jerusalem address where resuscitation was being performed on a newborn baby. The family called for an ambulance after the newborn was found unresponsive and the United Hatzalah Psychotrauma Unit was activated. “The situation was a difficult one for us,” said Miriam Ballin, Director of the unit, “as neither of the parents spoke Hebrew we had to mobilize volunteers who spoke English. Thankfully, many of our volunteers are bilingual, some are even trilingual, so we were able to assist with translation". “When we arrived the ambulance teams were taking the mother and baby to hospital. Just as we were about to leave the scene, we saw the family's other children arriving home from the park with their grandmother, unaware of what had ocurred” added Ballin. “We talked to the kids and calmed them down. We went over with them what the police and ambulance were doing and we made sure that the children knew that this was just standard procedure and that there was nothing to be afraid of. Our being there helped stabilize them enough to be able to deal with the situation. They are really terrific kids who are well mannered, and they needed our help during this difficult time,” Zakuto concluded. After calming the children, members of the psychotrauma unit helped the children go through their nightly routine. “We made sure that the children had dinner and helped them get to bed. When Social Services arrived on the scene the representative was very impressed by what she saw of our work. We handed the scene over to their team and they were very thankful for our presence. Social Services felt, that due to our help, that they did not need to disturb the scene once again, and left the area feeling inspired by our activities with plans to return the next morning for follow up,” Ballin added. “I called one of our volunteers who lived in the same building as the woman who was in need of resuscitation and he immediately went to help. As EMTs and paramedics arrived at the scene to resuscitate the woman, family members were in a highly agitated state which can make it difficult for the EMTs and paramedics to do their job,” explained Ballin.